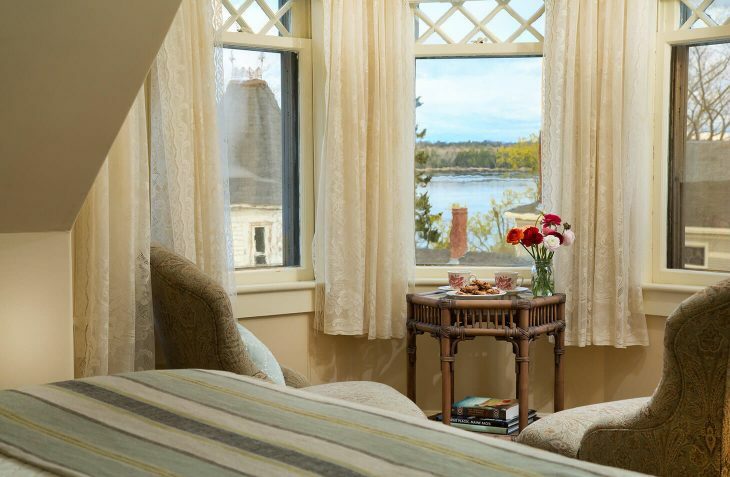 The “hideaway” room is tucked in the turret on the third floor of our midcoast Maine bed and breakfast. 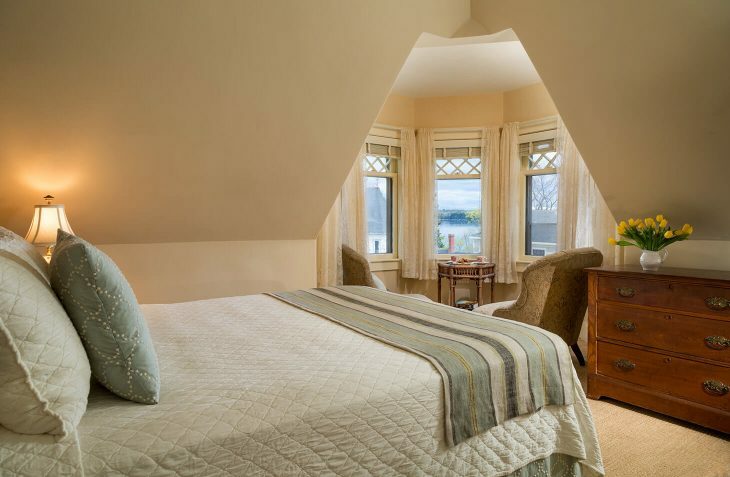 The turret seating area beckons with the best views in the inn overlooking the harbor and its distant islands, a great spot to relax and unwind. 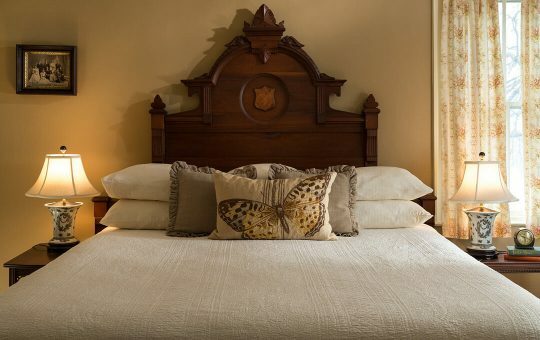 The queen size bed has one of our favorite Eastlake headboards, custom made bed coverings, and a new pillow top mattress. 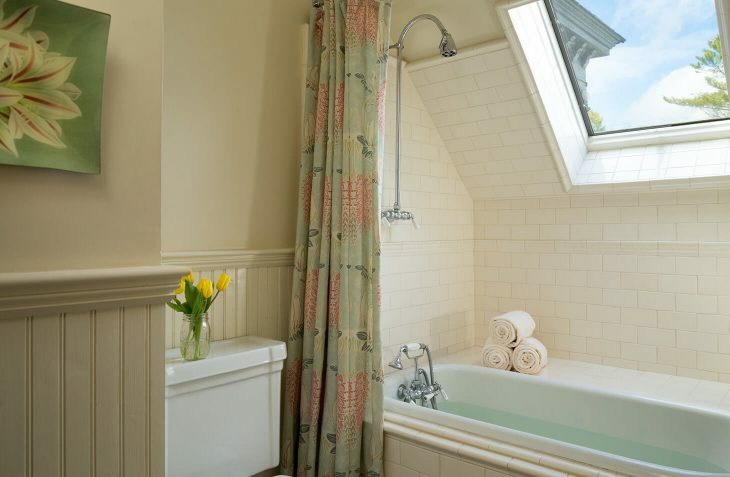 The Waterworks tiled bath has the original clawfoot tub with shower and a skylight, which is perfect for watching the clouds float by during a relaxing bubble bath. 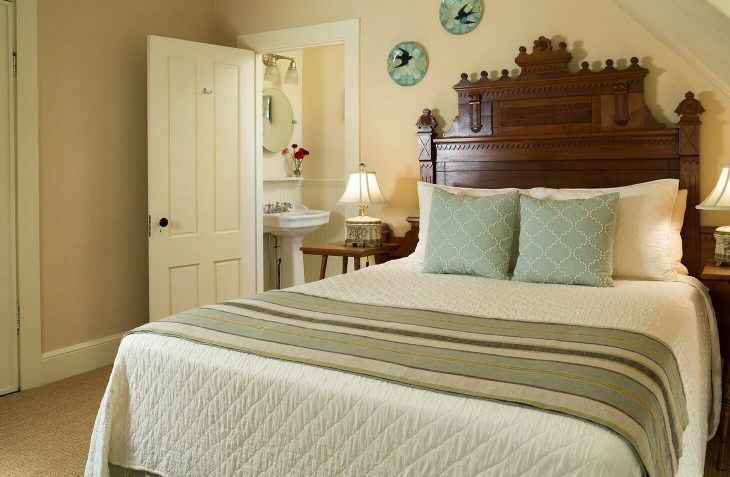 Join us for for exceptional Castine, Maine lodging and an incredible Maine getaway.